Transformers: The Last Knight is poised to redefine the paradigm of Transformers movies — that is, if anyone’s still following it at this point. The Transformers have been coming to Earth for centuries, even millennia, but what does it MEAN? Sir Anthony Hopkins has some ideas, which hopefully he will finally share in the actual movie, because all of this very mysterious marketing has been just that: very mysterious. In the new video, hinting at the Transformers’ “secret history” they share with Earth, Hopkins (who was last seen calling Mark Wahlberg “duuude”) has a ton of photos in his Transformers Room that are all evidence of a much deeper relationship between robots and humans that spans a history much older than Sam Witwicky and his yellow Camaro. There were samurai Transformers, knight Transformers, even Transformers that could turn themselves into Panzer tanks. Hopkins neglects to mention exactly why they’ve been assisting us in our conflicts all this time, but we’ll soon find out. Another thing: The Last Knight introduces an alternate history ripe for some spinoffs. 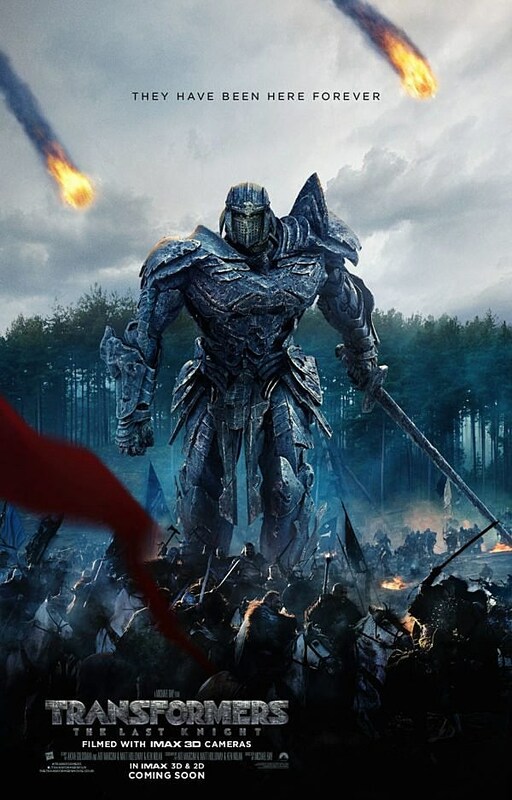 Does this mean Michael Bay is opening the door for an Arthurian Transformers movie? A feudal Japan Transformers movie? A World War II-set Transformers movie? Wait. Wait, no, stop, I take it back, I didn’t mean it.